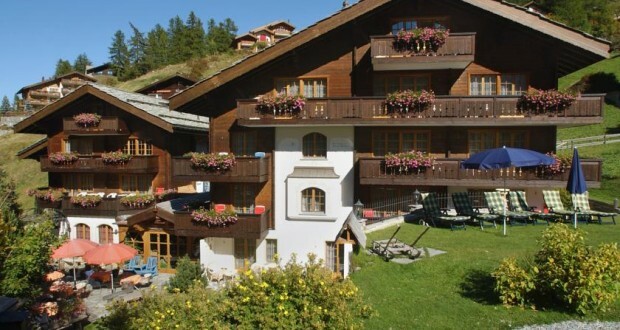 Hotel Berghof is surrounded by beautiful mountain scenery in Zermatt, next door to Matterhorn Paradise Cable Car. It offers traditionally furnished rooms and an indoor pool with a waterfall. All comfortably furnished rooms feature elegant and individually styled bathrooms and a balcony. Free access to Wi-Fi and a flat-screen cable TV are available as well. Bathrobes, slippers and toiletries are at guests’ disposal. This 4-star hotel boasts a contemporary spa area with a jacuzzi, a sauna and a crystal hammam. Massages and beauty treatments are also available. The Berghof’s restaurants serve fine, regional cuisine in the rustic dining room. Guests can play billiards in the coffee bar. There is a lounge with a smoking area and a restaurant. Guests can relax on the large grounds or on the terrace in nice weather. There is a children’s playground and free bicycles are available for guests’ use. Zermatt Train Station is one mile away. Guests can be picked up and dropped off from the train station free of charge between 8 am and 6 pm.